Completely unrelatedly, here’s probably another useless idea from this blog’s host. Consider a sequence of binary numbers in such that the number of digits of is at least equal to for all . Then one can apply Cantor’s diagonal argument to extract a number that is uniquely defined (since a digit different from must be and vice versa) and different from all the . Call the resulting number the “binary Cantor orthogonal” of that sequence. Can it have any useful properties? then extract the diagonal of the decimal parts and invert it modulo 2. The resulting sequence is 0,0,0,1,1,1,0,0,1,0,1,0,0,1,1,0,0… Unfortunately, the OEIS doesn’t know this particular sequence, so there’s probably nothing noticeable here. 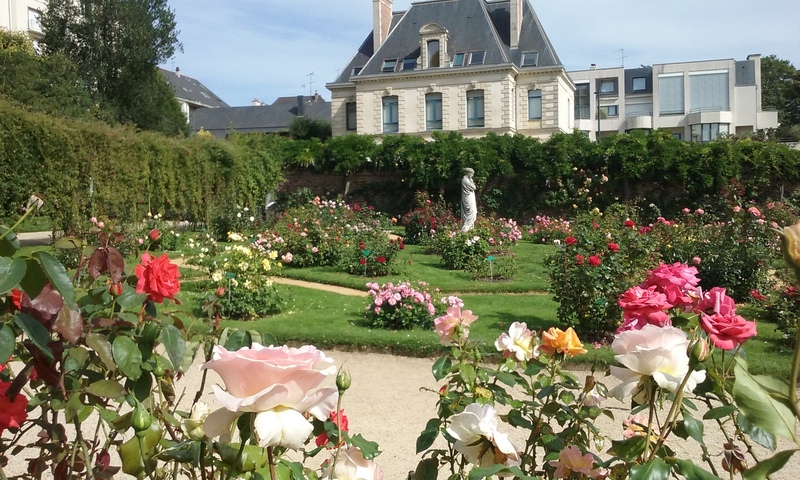 Jardin des Roses in Rennes (a small area of this marvel).